We ship our mixer knives anywhere in the continental United States. Call for great pricing, shipped direct to your farm. We accept Discover and American Express, and CNH Vantage Account, and Farm Plan. Serrated Mixer Wagon blades made with Austrian MBL4 heat-treated steel and then hard faced with thick tungsten carbide material. Incorporating Austria’s skills and reputation for the highest quality in knives, these serrated blades are designed to cut even the toughest of commodities while supplying the longest life in a cutting blade today. The thinner design of these knives allows for more efficient cutting, while requiring less horsepower to operate than a standard thicker design of knife. Our Supreme and Roto-mix vertical mixer knives are manufactured on the most modern, automated, and robot-controlled systems and of course meets the strictest quality specifications. 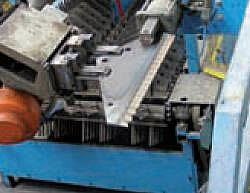 Making use of its expertise and technical equipment. 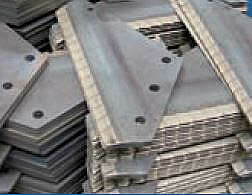 Our feed wagon knives are coated with tungsten carbide alloys to improve the cutting performance. This highly wear-resistant tungsten carbide coating makes it possible to multiply the service life of the cutting tools. We also sell Supreme Mixer Wagons & Roto-Mix Vertical Feeders along with feed wagon parts and farm mixer parts.